Nannaemma : Want to feel Christmassy? How wonderfully lovely are these photos? 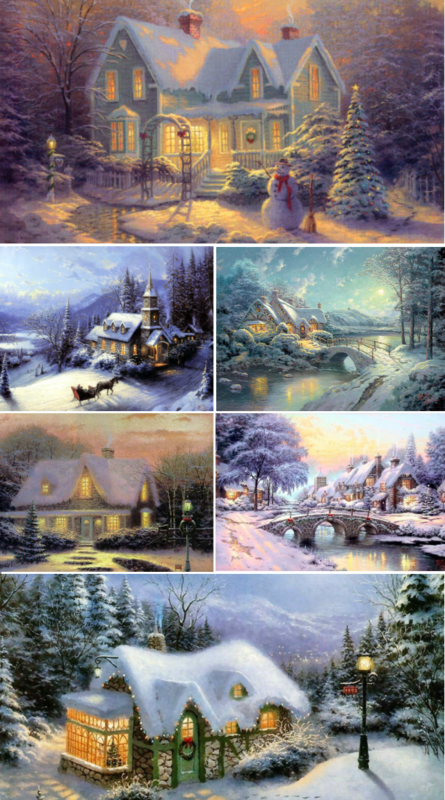 They are made by Thomas Kinkade and I think they are quite close to be some of the best things ever to have excisted. If you're interested in how things look inside my brain; my dreams, my thoughts and just really what the core of my personality looks like take a close look on these photos. If I could I would live happily ever after in these photos. If you haven't seen his work already go ahead and google Thomas Kinkade! He's brilliant and talented and I am planning to move into his photos... Somehow.